Executive presence is a blending of mindset, competencies, and delivery that gives the overall impression that this person has dignity and can get the job done. 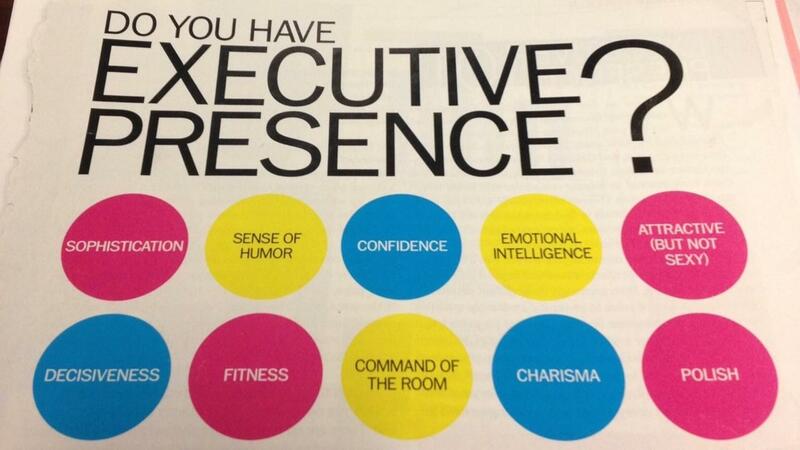 Can executive presence be developed? Yes – if the person has a foundation of self-confidence and a willingness to build their self-awareness and self-regulation. You don’t demonstrate an even temperament.